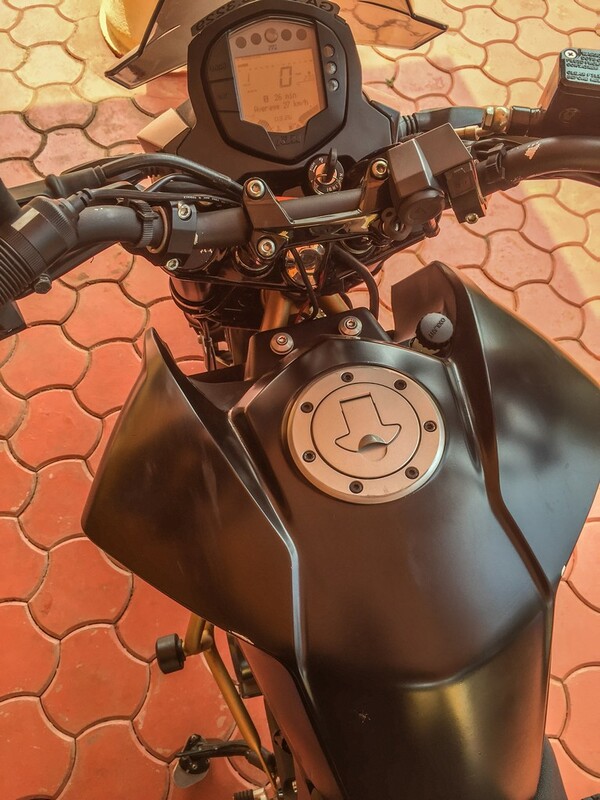 The KTM Duke has a side stand sensor which shuts off the engine if you engage a gear with the side stand down. This is a good thing as it prevents you from getting into trouble riding the motorcycle with the side stand down. 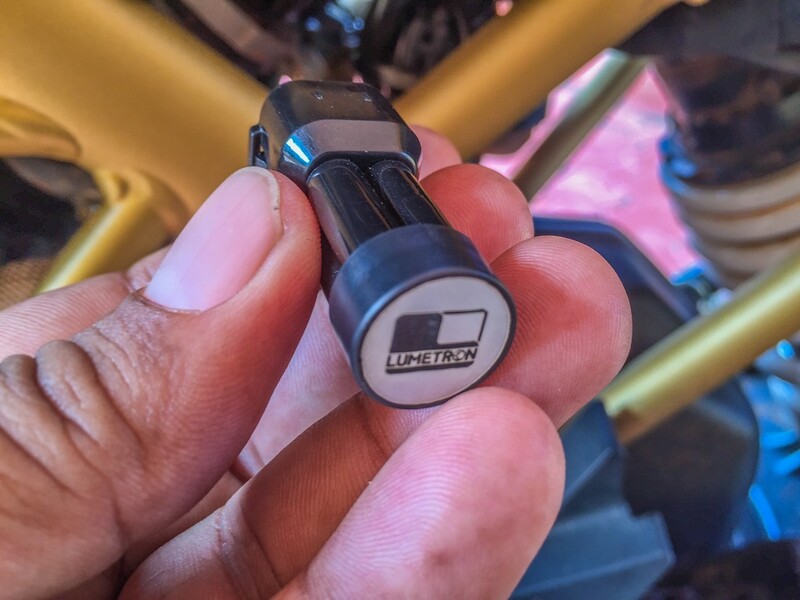 However, if you are like me and like to take your Duke off road, bash it over rocks, ride through streams with boulders and stuff, then this sensor could pose a peculiar problem. The sensor is located near the stand and although it has a metal plate that covers it, its quite possible that a rock could smash into the plate and damage the sensor. If that happens you end up with an immobilized motorcycle as the damaged sensor may not allow the engine to start. Big problem. I learned about a device that bypasses this sensor from Dhaval Mahidaria of Lumetronics. He shipped me a device and today I fitted it on Ratchet. The device cost me just Rs 475 including shipping and it worked like a charm. Fitment was easy. 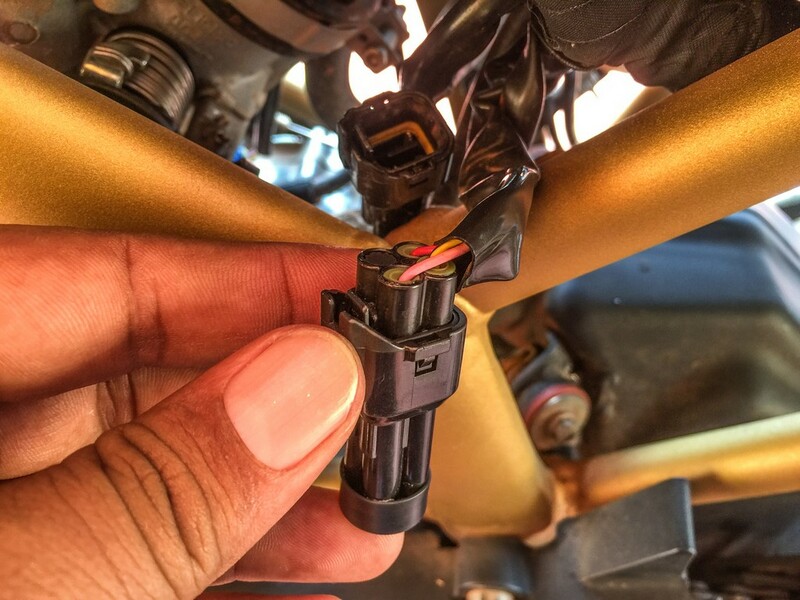 A wire rises up from the side stand sensor and connects to the wiring harness by means of a coupler. You simply need to plug the bypass device into the coupler and you are done. Dhaval advised me to keep this device in my toolkit and use it only if and when I needed to. This is because with the sensor bypass device in place, the engine will not cut off when you engage a gear with the side stand down, which could be a safety hazard. That sounds like good advice to me. Here is a picture that shows the engine running with first gear engaged and the side stand down. Click the image to get a larger view. Where Is Royal Enfield Headed?